Once you take home your new car from Cochran Volkswagen of North Hills, our Clearly Better Car Buying experience does not end. We offer several great incentives that make our service department the best choice for Volkswagen owners in the Wexford area. We offer a Price Match Guarantee that ensures we will save you more money on your vehicle service than any other area dealership. Cochran Volkswagen of North Hills offers a $500 Additional Trade-In Guarantee for any car that has had all of its service performed with us. If you purchased your car from Cochran Volkswagen of North Hills, be sure to take advantage of our complimentary first oil change. Visitors to our service department can also take advantage of our Complimentary Shuttle Service. 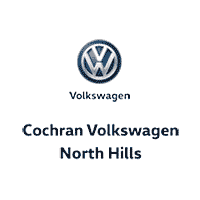 To make sure we can fit your service appointment into your busy schedule, Cochran Volkswagen of North Hills offers extended hours, including hours on Saturdays.